With so many new all-inclusive resorts opening in 2019 and early 2020, we wanted to highlight some of the best! Whether you are looking for a family-friendly property or an adults-only resort, this list has you covered. With a tentative grand opening for May 2019, we start our list of the best new all-inclusive resorts with Hard Rock Hotel Los Cabos. Construction on this family-friendly property, located in the Diamante Development in Cabo, is underway and the site renderings are enough to make you want to book your flights for May immediately! The Diamante Development is home to an 11-acre swimmaable saltwater sports venue. Here it is safe to swim, kayak, stand-up paddle, and more. In addition, it will soon be home to a new tiger Woods golf course. Hard Rock Hotel Los Cabos will have 6 restaurants, 5 pools with swim-up bars, an amazing spa and fitness center, and children’s and teen’s areas. In addition, the main resort pool will have 3 water slides and you’ll find a bowling alley at the resort’s Moon Lounge. If you’re skimming this list of new all-inclusive resorts for one that has something to offer everyone, this is your best bet! It is a large property, with 639 rooms and suites total, and so much to do for kids, adults, couples, and groups. 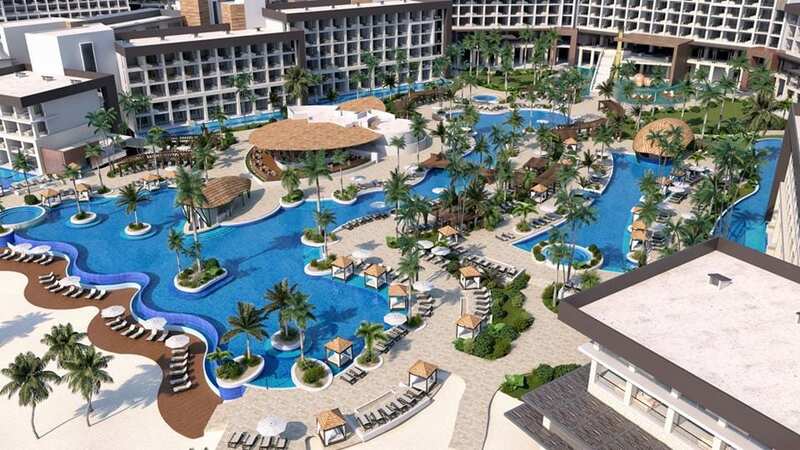 Grand Fiesta Americana Punta Cana Los Corales is set to open in late 2019, so if you are looking for a great place to take your family over the holidays, this is the resort for you! This property, from the Grupo Posados Brand, is located in the coastal town of Playa Bavaro. The Five-star property cost developers $130 million, with 554 rooms, top-notch dining, and tons of beach activities which are included for all guests. You can expect the warm hospitality and stellar food that the Grupo Posados Brand is known for when you stay here. Hyatt Ziva Cap Cana is now accepting reservations for stays from November 1, 2019 and beyond. If you’re looking for a new family-friendly all-inclusive in the Dominican Republic, look no further! Hyatt Ziva Cap Cana is located directly on Juanillo Beach, with tons of golf courses and deep-sea fishing excursions nearby. The property will be home to 5 bars and lounges and 6 restaurants, including oceanfront eateries so you never have to take your eyes off that beautiful beach. Plus, every single suite on this property has an ocean view. Swim-up suites and rooms with private terraces are also available. Plus, the property has a ton of activities to keep even the most stir-crazy guests occupied, Activities include non-motorized watersports, Scuba School, water volleyball, aqua gym class, cooking demonstrations, and live entertainment. 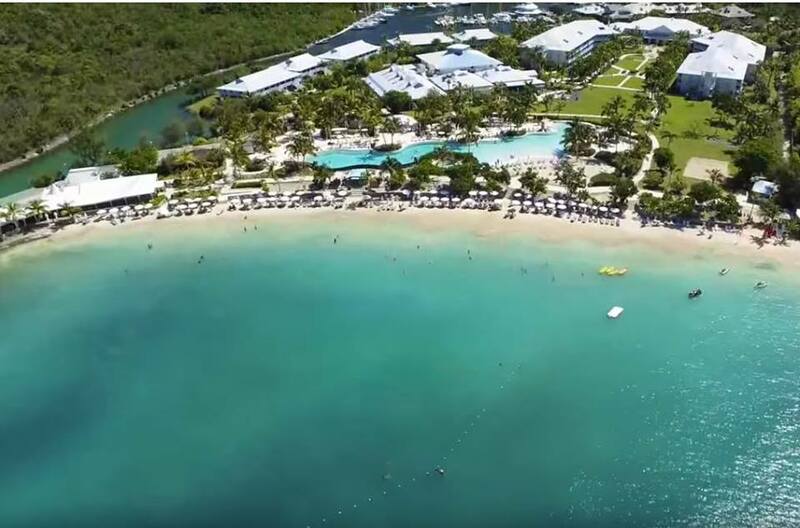 Though you’ll have to wait until March 1, 2020 to stay at Secrets St. Martin Resort & Spa, we just had to include it on this list! This AMResorts project is taking over the former Riu Palace in Anse Marcel. The 350-room property on one of the most beautiful beaches in St. Martin will offer AMResorts signature all-inclusive experience. As it is located on the French side of the island, you can also expect French charm throughout the design of the property. The French side of the island is known for its outdoor markets, as well as French and Indian cuisine. The property will have four gourmet restaurants, a cafe and snack bar, and five bars and lounges serving top-shelf liquors. With 258 suites, take your pick of spacious accommodations with ocean, marina, or mountain views. The property will also have swim out options available. In addition, the resort will have daily activities and nightly entertainment, as well as a world-class Secrets Spa. It is also near several golf courses. This is AMResorts first foray into St. Martin, and we cannot wait for it! 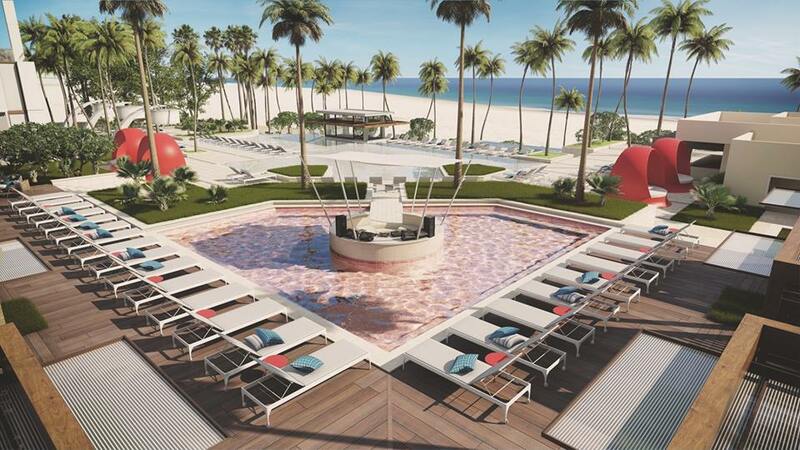 Paradisus Playa Mujeres, brought to you by the Spanish hotel group Melia Hotels International, is slated to open in July of 2019. The 498-room resort will sit on its own private beach, plus it will have boast four swimming pools. In addition, you’ll find six bars, seven restaurants, a spa, marina, and beach club that is only open for adults. This is a great option for families as well, with a special Family Concierge available with elevated room categories. The Family Concierge can plan your family’s activities, do our laundry, and make your restaurant reservations! Call us today to book your stay at one of these new all-inclusive resorts in the Caribbean and Mexico. You can reach us at 402-390-9291 to talk to one of our Caribbean or Mexico specialists or get started here.